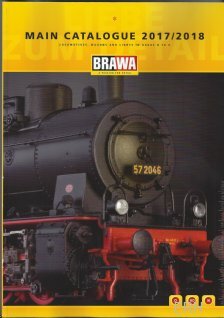 Brawa manufactures a wide range of model railroad products with an emphasis on fine detail and quality. Brawa offers locomotives and rolling stock with detail that rivals much more expensive brass models. They are also well known for their finely detailed signals, lights and electrical accessories for HO, TT, N and Z scales. Brawa has recently start producing rolling stock and details in O scale to complement O scale models from Lenz and other manufacturers. BRAWA Fall New Items Posted! BRAWA pre-order discount pricing now posted! MORE Brawa special edition advertising freight cars have arrived!